Custom made to suit a Boss GT-6 floorboard. 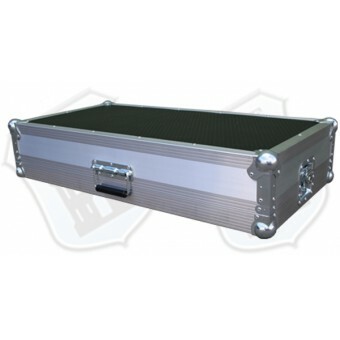 The case is manufactured using heavy duty 7mm black hexaboard case panels and all edges are strengthened using aluminium case profiles and steel protective ball corners and braces. Heavy duty case hardware including padlock lugs fitted as standard to all catches. 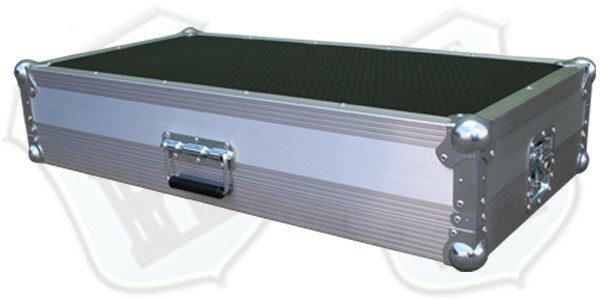 Fully foam lined interior, the pedalboard can be used whilst in the base of the case. Surface mount handle with rubber grip. 4 non slip rubber feet, fitted to the base of the case. HEXABOARD CASE PANELS - 7mm Birch plywood panels with black hexagon surface pattern which has a high wear resistance, waterproof and easy to clean. LIGHTWEIGHT ASTROBOARD CASE PANELS - A honeycomb plastic which is 40% lighter than the hexaboard case panels of the same size. Available in Black, Red & Blue.